Any serious shooting enthusiast will always advise buying in bulk. 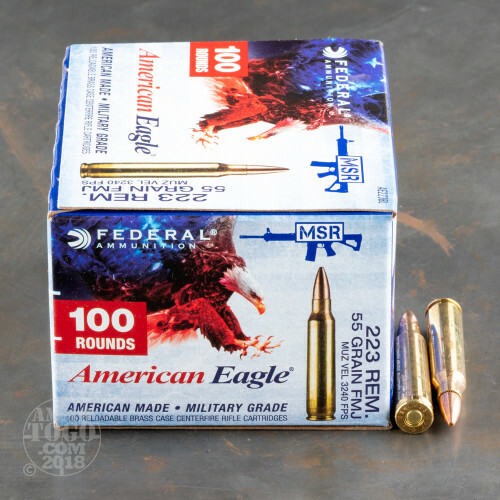 You never want to miss a chance to go sharpen your skills at the range, and in the event that something bad should ever go down you won’t want to be left wishing that you’d stocked up on ammo beforehand. 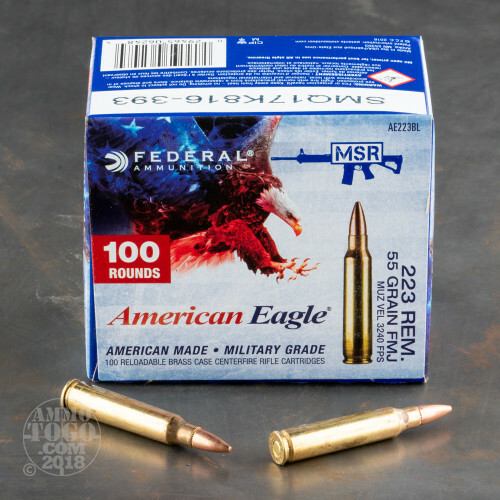 With these 1,000 shiny 223 Rem cartridges from Federal’s American Eagle line of ammunition, you’ll have just what you need to be ready for most anything! This round features a 55 grain projectile, the commonest weight for its caliber. 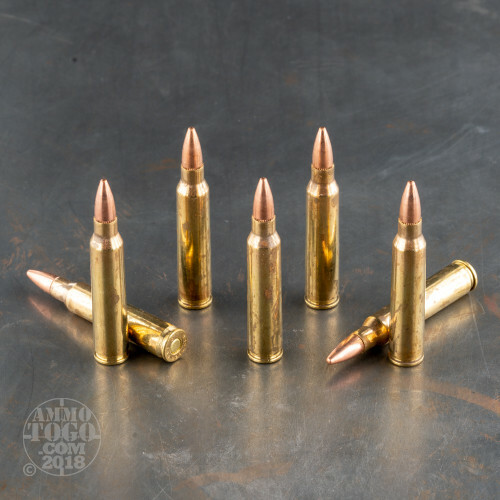 The bullet’s full metal jacket means it will spare your rifle from rapid bore fouling, so you will maintain your accuracy for longer in between cleanings. This boat tail bullet’s tapered base dramatically heightens its ballistic coefficient, giving it better accuracy, more retained downrange velocity, and less susceptibility to wind drift. 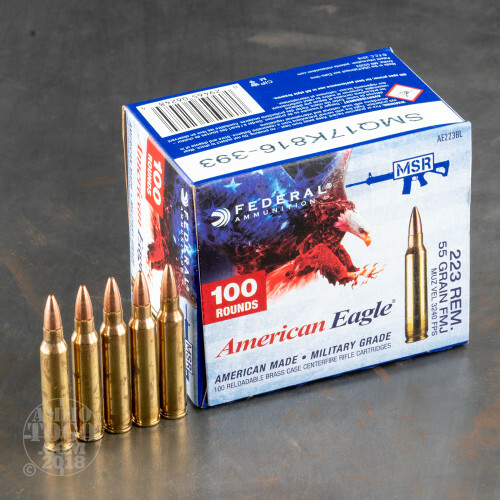 This cartridge’s Boxer primed brass casing is perfect for handloading, so with 1,000 you’ll be all set for a while!